Recently one Thursday evening, a man was driving home when he suffered a cardiac arrest and lost consciousness in the middle of his evening commute. The man’s vehicle crashed into another car on the busy roadway; terrified witnesses dialed the emergency hotline for assistance. Yossi Ecklar, a United Hatzalah volunteer from Kiryat Ata was nearby when the call came in. He immediately dashed to his ambucycle, sped past rush hour traffic and raced to the scene in 60 seconds. Finding the pulseless 65-year-old driver slumped over his steering wheel, Yossi immediately initiated CPR. He was joined by a fellow ambucycle EMT and a United Hatzalah volunteer paramedic. Yossi and his colleagues attached the defibrillator pads and provided two electrical shocks in quick succession. 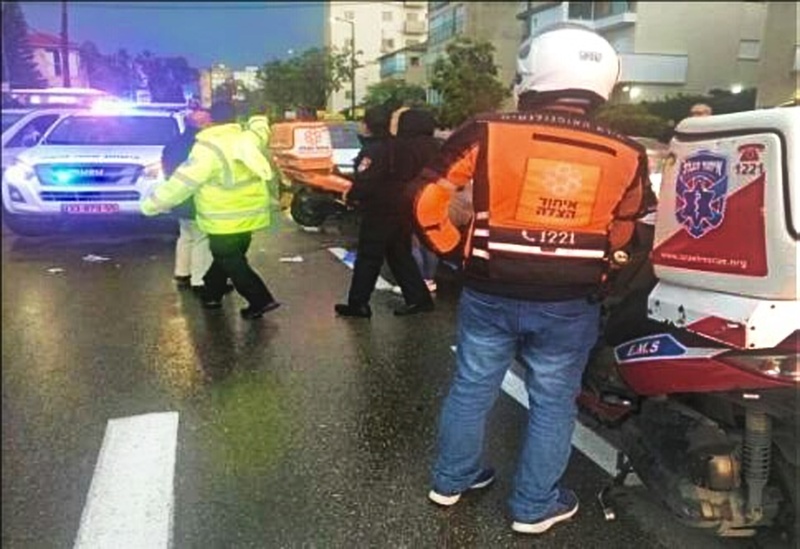 They continued to administer the rapid chest compressions, and after 8 minutes, the United Hatzalah volunteers succeeded in restoring a steady pulse. The man even started breathing independently and regaining consciousness. An ambulance crew arrived to take him to the emergency room for follow-up care. This entry was posted in Uncategorized and tagged Car Accident, CPR, EMS, EMT, first responder, Israel, Kiryat Ata, Rescue. Bookmark the permalink.